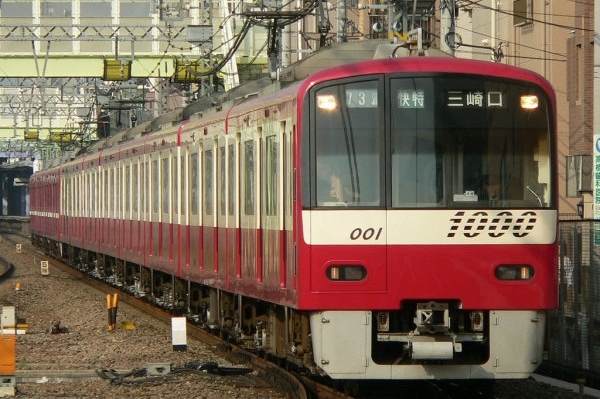 Famous for its fleet of red trains, Keikyu is one of the larger private rail companies in the Kanto region and operates mostly west of Tokyo in Kanagawa prefecture. 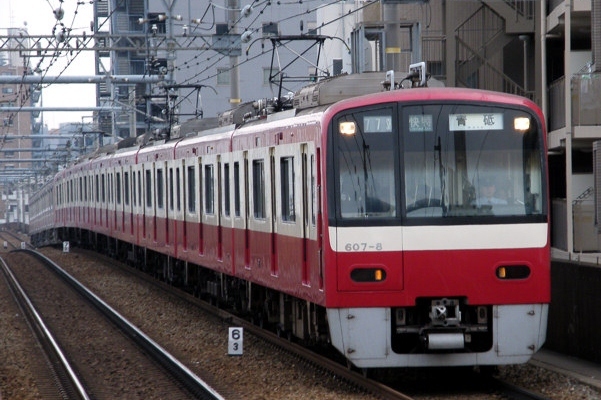 It is the third oldest private rail company in all of Japan and the first in the Kanto region. The company started out as the Daishi Electric Railway company in 1898 opening its first train line the next year. The train connected Rokugobashi Station, near modern day Kawasaki, with Daishi Station, which is where a famous temple is located. The name of the company was changed to Keihin Electric Railway in 1899. The word Keihin comes from the alternative readings of the kanjis Kyo in Tokyo and Hama in Yokohama. 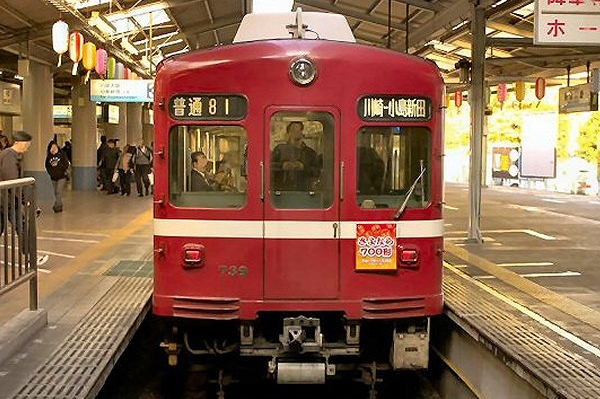 In 1941, Daishi Electric Railway merged with the Shonan Electric Railway but was absorbed into Tokyu the next year. 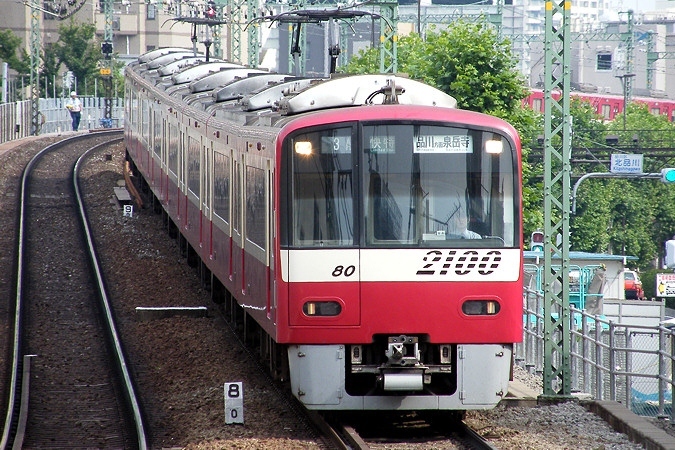 After the war, the name of the company was changed to Keihin Kyuko (express) Electric Railway. 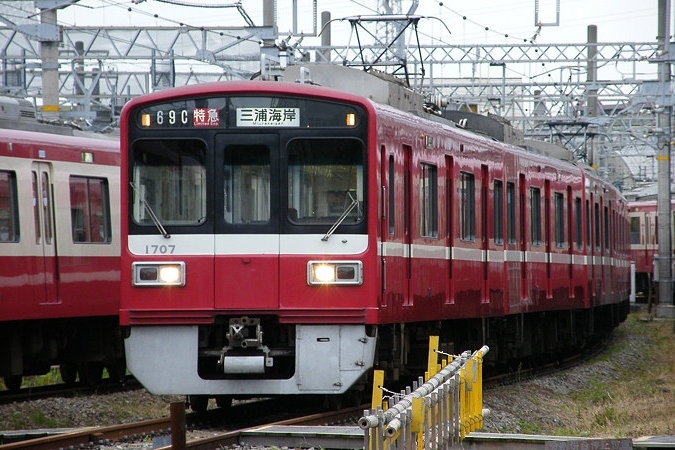 One feature that distinguishes Keikyu from many of the other private rail companies in the Kanto region is the fact that it uses standard gauge (1435mm) tracks. Nearly all non-Shinkansen JR lines and most private rail companies use narrow guage (1067mm) tracks. 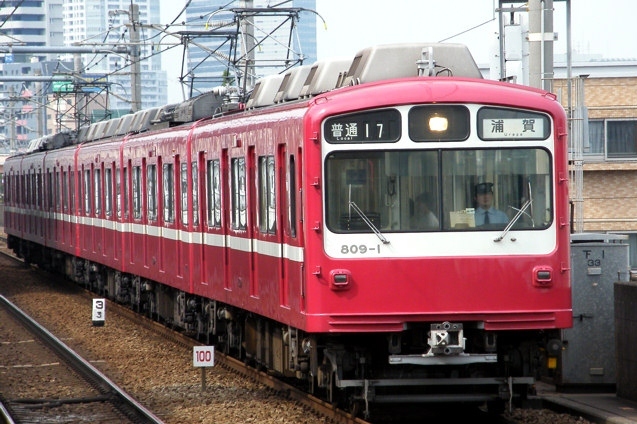 Keikyu puts speed at the top of its list of priorities and builds its schedule around the limited express trains. These trains skip many inbetween stops and are operated with two-door trains with crosswise seating. 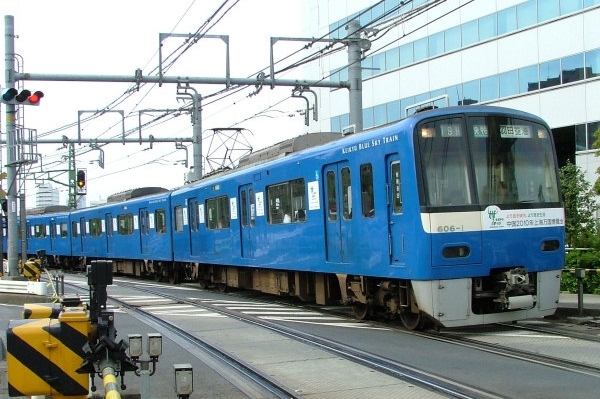 They also have a higher top speed compared to the ones used by their rivals such as Tokyu.